Picking recommended ELISA Kits will save you time - yet all 81 products covered by our Money Back Guarantee! 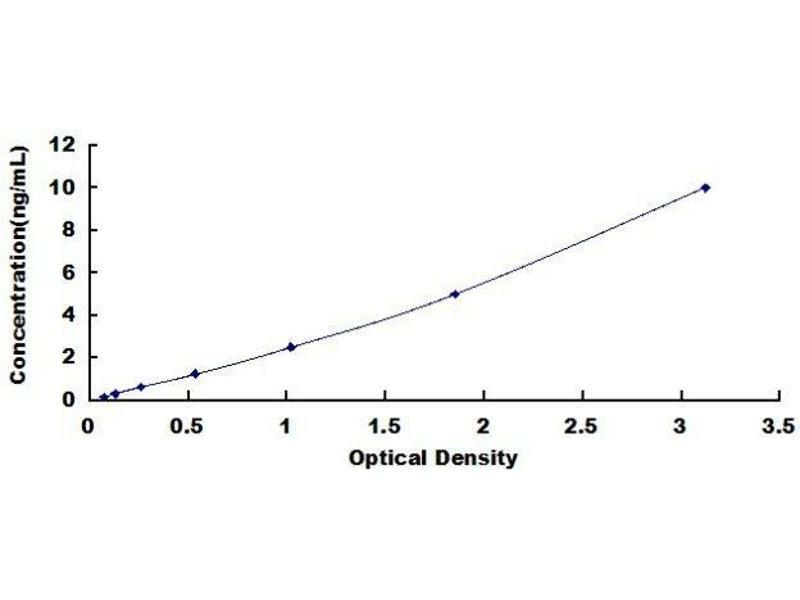 Diagramm of the ELISA kit to detect Human ANG 2 R1with the optical density on the x-axis and the concentration on the y-axis. 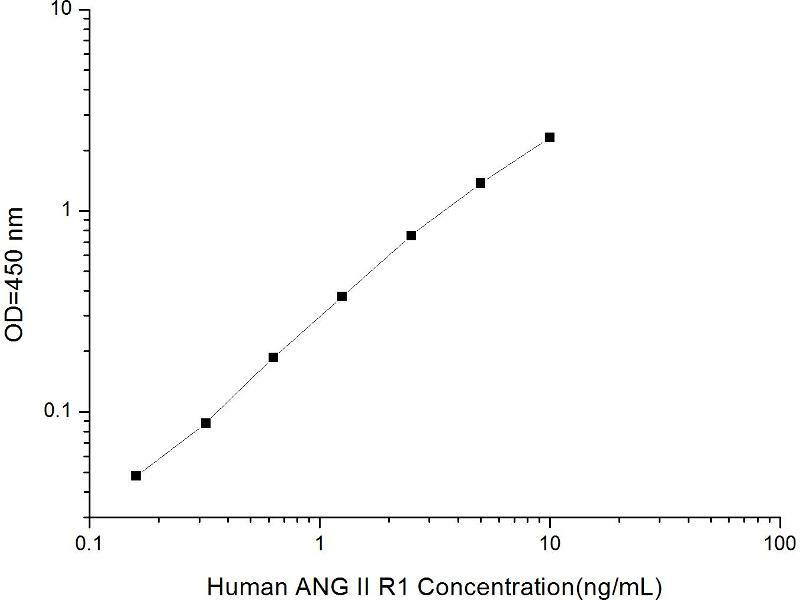 Angiotensin II is a potent vasopressor hormone and a primary regulator of aldosterone secretion. It is an important effector controlling blood pressure and volume in the cardiovascular system. It acts through at least two types of receptors. This gene encodes the type 1 receptor which is thought to mediate the major cardiovascular effects of angiotensin II. This gene may play a role in the generation of reperfusion arrhythmias following restoration of blood flow to ischemic or infarcted myocardium. 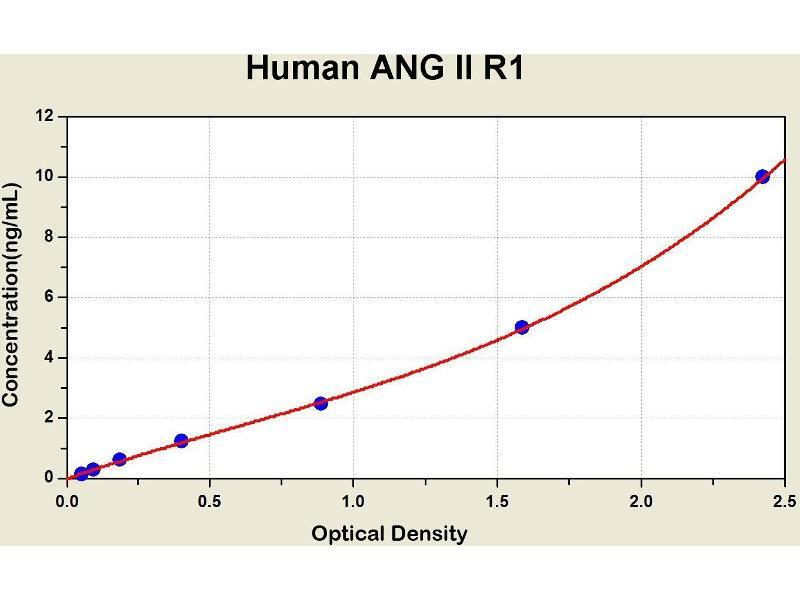 It was previously thought that a related gene, denoted as AGTR1B, existed\; however, it is now believed that there is only one type 1 receptor gene in humans. Multiple alternatively spliced transcript variants have been reported for this gene.